Dr. Michael H. Fisher is the Robert S. Danforth Professor of History at Oberlin College, where he offers a range of courses on the history of South Asia, the environmental history of the Indian subcontinent, Pakistan, Mahatma Gandhi, and early travel narratives about India. He earned his M.A. and his Ph.D. in History with a concentration on South Asia from the University of Chicago. He also holds a B.A. in English from Trinity College. Professor Fisher has published 12 books and more than 50 articles on aspects of Indian history. His special interests include the interactions between Indians and Europeans, both in India and in Europe, from the 16th century onward. His books include biographies of Indian settlers and visitors to Britain and histories of the British Empire as it originated and developed in India. His most recent book is A Short History of the Mughal Empire. Since 1971, Professor Fisher has lived, researched, and taught for long periods in India, with briefer trips to Pakistan and Bangladesh. He has been a visiting faculty fellow at the University of Delhi, University of Hyderabad, University of Allahabad, Jawaharlal Nehru University in Delhi, and the University of Dhaka in Bangladesh. 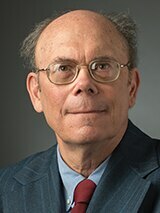 Professor Fisher has also served on the major committees of the American Historical Association and the American Institute of Indian Studies, among others.